We get asked all the time about pleats and pleat styles so here is a quick guide to help you when you’re selecting the perfect pleat for your custom drapery. Truly custom drapery comes with beautiful, structured pleats at the heading. 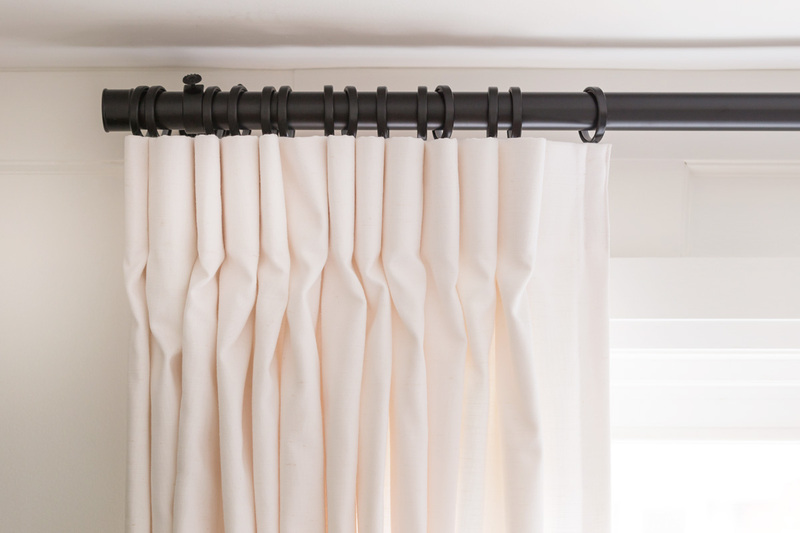 The industry standard is 4” long pleats but we offer 6” long pleats as well in our online products because it’s a nice upgrade that gives the pleat better scale on taller windows and also it’s a nice bonus making the drapery look super custom. The key to figuring out which length of pleat is right is simple, if your drapery is over 96” long the 6” pleat is a good bet. Otherwise the 4” pleat is just fine and dandy! 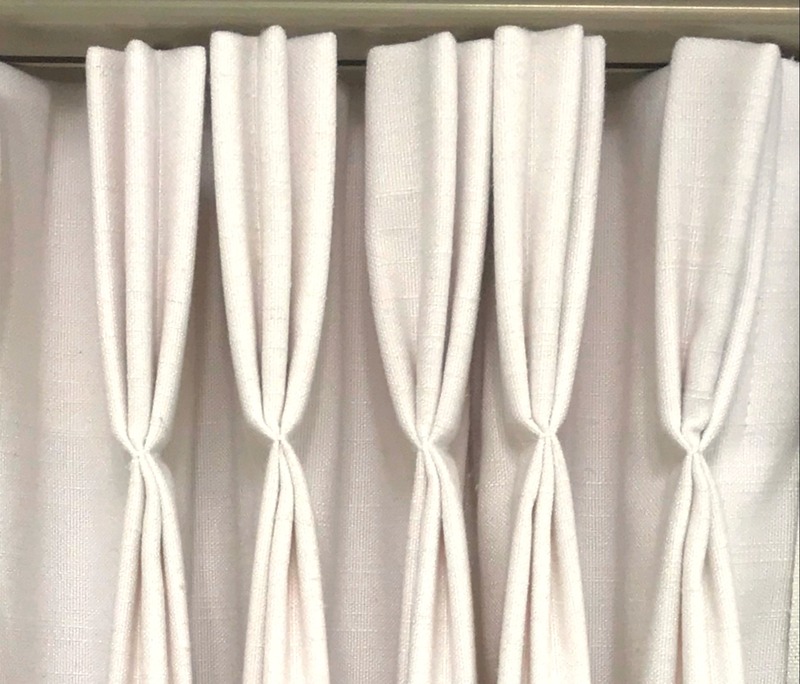 For our online drapery we add at least 2 times the width of the window in fabric to cover your desired width (this is called drapery fullness) and then we pleat the excess fabric to create the folds or ripples across the window when the drapes are closed. This extra fullness gives your drapery the softness in the look and for function the fullness helps the fabric stack back neatly when you open them up. 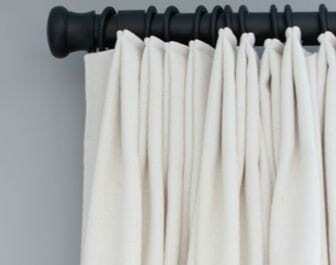 Essentially the pleats control the fabric for opening and closing ease which is why flat style drapery (back tab, flat, tab or “knife heading”) often looks a lot more relaxed or messy when you open and close them, much like a shower curtain, there is nothing telling the fabric what to do! This pleat is by far are biggest seller. We do about 80% of the 6” version and 20% of the 4” version because so many ceilings are over eight feet now. It’s crisp and clean and a bit more contemporary than the traditional pinch pleat. It makes the fabric fold and hang beautifully to the front of the panel. It works in almost any space. This pleat is perfect for those that was a really clean and simple look but are ok with the outer edges of the drapery flaring a bit. The inverted pleat is just that, the reverse of a regular pleat in that the excess fabric is pleated to the back of the panel so it will stick out from the hardware by the depth of the pleat (around 1-1.5″) and the outer edges will kick a little because there is nothing telling them to return to the wall or glass. If this all sounds foreign we are happy to explain further if this is the look you want but aren’t sure about the hang! This is the most classic and timeless of all of our pleat styles. It’s been used in drapery likely since the beginning of time and is our most traditional offering. 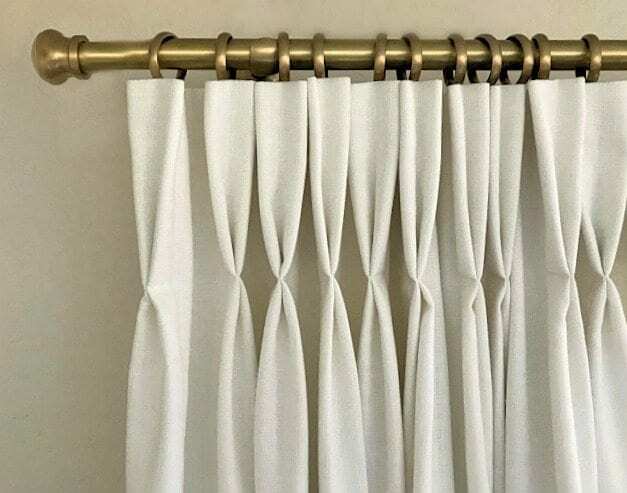 It is the same construction as the 2 fold pleat but has a third fold making it a bit more fussy and old school but in certain spaces this is the perfect choice and we still see many customers ordering this classic style. This pleat is a sleek and modern choice. It is suitable for more contemporary or transitional design and is sometimes referred to as a Euro Pleat. It has the same constructions as our 2 Fold Pleat except it’s stitching in for the folds is at the top of the pleat allowing a smooth line from the heading of the drape to the bottom which is what gives it the cleanest overall look.